Linux operating systems come in a variety of flavors. Often, Linux distributions (distros) feature specializations. There are loads of Linux home server distros. Hannah Montanna Linux even exists, its original mission to make Linux accessible to a younger audience. With a bevy of Linux media center software options, Linux operating systems offer an ideal landscape a home theatre PC (HTPC). But while Linux HTPC software exists, Linux HTPC distros are another option. Ubuntu might not be among the ready-made Linux HTPC distros. Nevertheless, it's one of the best choices as a Linux media center distro. That's because of its massive application compatibility and ease of use. Because it's a Debian-based operating system, you can install many HTPC and home server software options including Madsonic, Subsonic for Linux, Docker, and Radarr, a CouchPotato alternative. Since Recalbox includes Kodi as well as EmulationStation, it's a superb all-in-one choice for gaming, video, and music. This comprehensive focus makes it one of the best Linux distro for HTPC options. Like Recalbox, RetroPie is one of the top Linux HTPC distros available. It's a Raspberry Pi Linux media center distro with a focus on gaming. 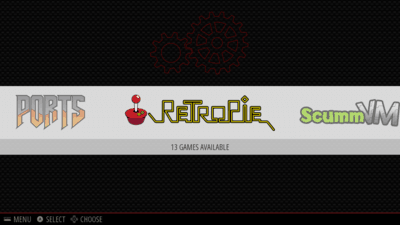 RetroPie runs EmulationStation as well, and includes Kodi for local file playback, network streaming, and Kodi addons. It's this massive functionality which posits LibreELEC as one of the top Linux HTPC distros available. 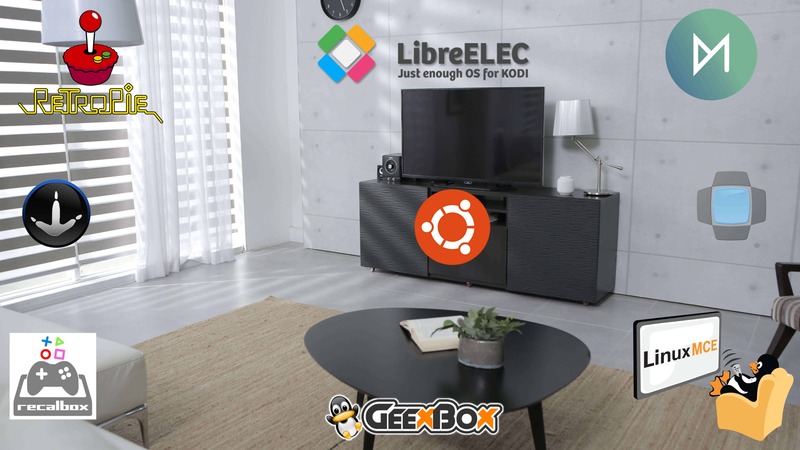 Although there's no shortage of emnedded Linux media center distro options, GeeXboX is one of the greatest Linux HTPC distros. It's a free, open-source project with installers for desktop and embedded devices. 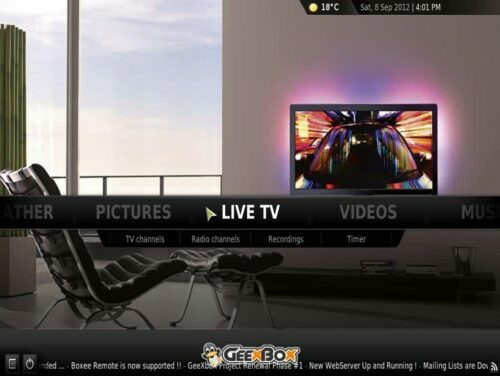 While GeeXboX is Linux media center distro, availability remains unique. You can run GeeXbox from a traditional harddrive. Plus, it's a Linux media center distro available as a Live CD. This Gentoo-based Linux media center distro delivers an out-of-the-box experience. Therefore, it's primed for use right after install with a complete application and feature set. Although Sabayon is not marketed as a Linux HTPC distro, the GNOME iteration includes loads of media center apps. You'll find Transmission as a BitTorrent client, Kodi for a media center, the Exaile music player, and Totem for a media player. Because of its comprehensive array of standard HTPC software, Sabayon stands out as one of the best Linux distro for HTPC use. The all-in-one approach hones a ready-to-go Linux media center experience. Because of this versatility, LinuxMCE ranks as one of the best Linux HTPC distros for HTPC and home automation use. Since smart homes and automation are on the rise, LinuxMCE lends a one-stop-shop for media and smart home control. Formerly known as KnoppMyth, LinHES is a Linux media center distro for home theater PCS. Its most recent iteration, R8, is based on Arch Linux. Onboard, you'll find custom scripts for configuration of the MythTV PVR platform. Like Sabayon, LinHES makes an excellent Linux media center distro. 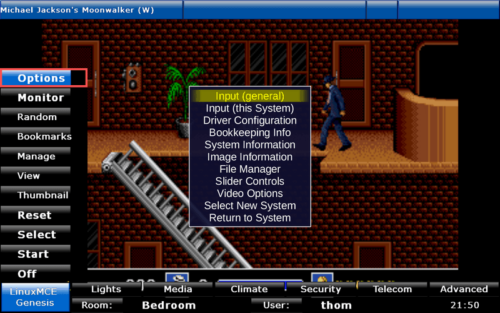 Largely, this derives from its comprehensive feature set. After the quick installation, you're ready for HTPC needs such as DVD playback, gaming, jukebox support, and DVR functionality. Further, LinHES arrives as a complete installation with both a front- and back-end. Alternately, there's a front-end only install option. 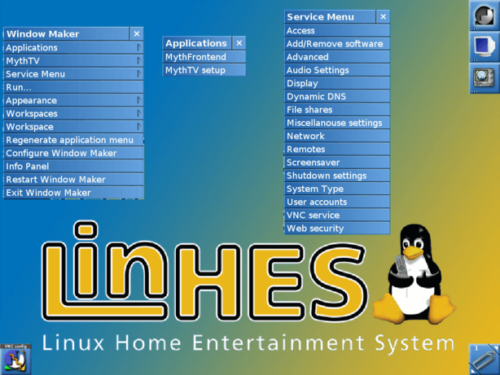 Due to its ease of use and flexible installation choices, LinHES is one of the top Linux HTPC distros available. While these are the best Linux distro for HTPC use choices, there are plenty of Linux HTPC distros available. Notably, Mythbuntu and Kodibuntu are solid picks. Yet both Kodibuntu and Mythbuntu are currently unsupported. Therefore, development has lapsed. Nevertheless, these Linux media center distro options still function. However, don't expect future support. Because of lapsed development, it's tough to recommend Kodibuntu or Mythbuntu for long-term use. Which Linux media center distro options do you suggest? How to disable Kodi Watched status logging?